Covers or titles that don't fit the books, a book that was totally different than its summary, or those books you thought were going to be fluff that turned out to be more serious etc. I know I can do this one, I've been fooled more than a few times by books! 1. Invincible Summer By: Hannah Moskowitz- Just look at that cover!!! It screams light beachy summer read, right??? The synopsis says: Across four sun-kissed, drama-drenched summers at his family’s beach house, Chase is falling in love, falling in lust, and trying to keep his life from falling apart. But some girls are addictive.... Not your typical beach read. be about how she decided not to be popular and met true friends, but it was opposite. She tried to Not be popular by dressing like an over the top a-hole (what's wrong with sweat pants and greasy hair?) and being popular anyway. 3. Miss Pergerine's Home For Peculiar Children By: Ransom Riggs- Although I didn't dislike this book, I thought it was going to be completely different. I didn't think peculiar meant magical. I thought it was going to be more Stephen King "The Shining" creepy from looking at the cover. 4. Twenty Boy Summer By: Sarah Ockler- I thought it was going to be about meeting 20 boys. It was so much better than that. The title isn't really what the book is about AT ALL! 5. Harry Potter and the Sorcerer's Stone By: J.K. Rowling- Ok so I bought this because I was super bored and there was NOTHING else at Wal-mart that looked even half decent. I thought it was going to be hard to read because I thought it was geared towards 4th graders. I was SO wrong! I finished this in one night and was back at Wal-Mart at 3 AM buying The Chamber of Secrets. This is not written for kids, it's written for ALL!! 6. 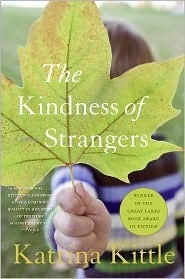 The Kindness of Strangers By: Katrina Kittle- I knew it was going to be about a boy who tries to commit suicide. But I had NO CLUE where it would go after that.... whoa it surprised the hell out of me... in a good/sad way. Sometimes it's nice when the back of the book doesn't give a lot of info! 8. Third and Indiana By: Steve Lopez- I had to read this for school so I figured it would be super dull. 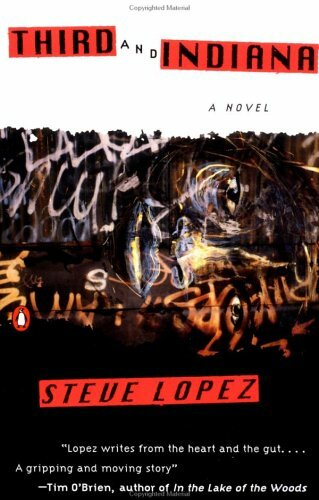 Also the synopsis didn't help: Set in a world where evil is so routine it becomes inevitable, Lopez's gritty novel brings home the violence that is scarring America's vast urban wastelands, and the humanity that might save them. Sounds boring, and the cover is dull. But it was AWESOME!! A good surprise! 10. LoveSick By: Jake Coburn- When I read the synopsis I thought the book was going to be more love and less sick, but I was wrong. This was a chronicle of the life of a bulimic. And then throw in a millionaire daddy and a stalker, the end. Well that's my list... a lot of them turned out to be books that deceived me in a bad way, but I guess the word deceive isn't exactly positive. There are some on there that were pleasant surprises or just different than what I expected, not good or bad different. So that's mine... what are yours? Wow, the book summary and cover for Invincible Summer is WAY misleading!! I also have a book by Katrina Kittle on my TTT this week, except my pick is Reasons to be Happy. Just added Reasons to be Happy to my TBR List! I loved the one book of hers that I read and was wondering if she wrote anything else good! Very excited to read Miss Peregrines', I've wanted to read it ever since I heard of it. Although you're right about the Shining thing, that's what it sounds like. Nice post! I've seen Twenty Boy Summer on a lot of lists, I'm glad to know it's more than it seems! I've wanted to read it for awhile, but the title just kept bumping it down in my queue. And this is probably odd, but do you know what deceives me about Invincible Summer? On the cover, I never, ever see the girl properly! For some reason, it looks like the left is the top half of her to me and I see her kind of flipped -- until I finally hold the cover a bit away and realize where the bra top is haha. I don't know why I do it, but it never fails. Thanks for commenting on my list!